Welcome to the Sisterhood Gift Shop. Judaica items help bring Jewish ritual alive within our homes and in our community. If you need a mezuzah for a new home or a gift for an upcoming simcha, visit our fully stocked shop of unique and affordable Judaica items. 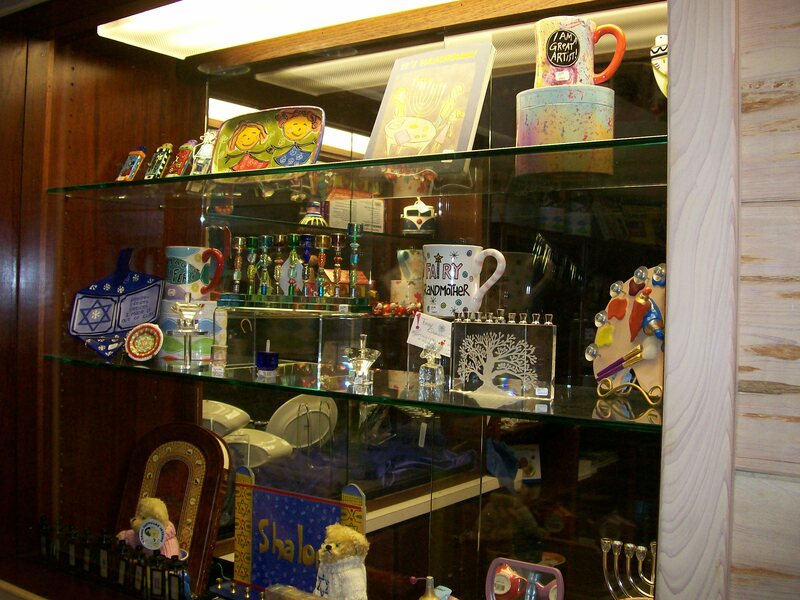 The Gift Shop is managed by Amy Friedlander and Judy Aronson and there is a wide variety of unique and distinctive items in stock and they can also special order individual items. From traditional to contemporary – educational to whimsical – hand crafted to bulk – there is something for everyone. Getting married, having a baby, or celebrating a Bar/ Bat Mitzvah? These life cycle events require a celebration! Many celebrations include receiving many lovely gifts. Make it easy for family and friends to choose the perfect gift by registering at your Temple Gift Shop. The next time you need that special gift, stop by your Temple gift shop. Please call the Temple office for store hours.